call for a quick quote by phone 877-450-LOGO. 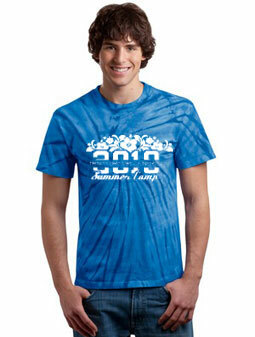 Click here to sign up to receive summer camp specials. Like us on Facebook to receive new product updates. Click on the image to view colors available. Imprint: One color print only. Price includes a one color print on one side/location, no set-up fee for orders over 250 pcs. Call for a competative quote. To place an order or for a quote, go to a design category pick a design and fill out a form. Hand Dyed Sports Swirl T-Shirts are a 100% cotton, short sleeve. Great for teams, camps, youth groups, etc. Available in youth sizes too. Click on the image for available colors. Available up to a 3XL in some colors. Price includes a one color print on one side/location. No Set-Up fee! Just pay shipping. 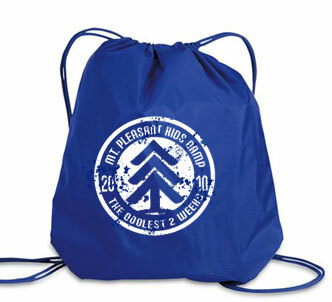 This fun promotional item is great for promoting your camp or special event. Choose from solid or translucent colors. Clcik image to view color options. Standard ink colors available: red, royal, black, white, pink, kelly, dark green, burgundy, orange, yellow and purple. Price includes a one color print on one side/location, 1 set-up fee @ $40. 1 Set-Up of $40 Pricing includes a one color print with your design or ours. © 2011-2014 ChurchTrends. All rights reserved on Web site graphics.